COLORADO SPRINGS, Colorado – Thirteen USA Shooting athletes are on their way to Al Ain, United Arab Emirates for the first World Shooting Para Sport (WSPS) World Cup of 2019 starting on Thursday and running through February 24. At the World Cups in 2018, USA Shooting athletes narrowly missed out on quotas and will look to grab them in Al Ain. 2018 USA Shooting Paralympic Athlete of the Year Taylor Farmer (Castalia, Ohio) narrowly missed out on two quotas when she won bronze medals in the R2 (Women’s 10m Air Rifle Standing SH1) and R8 (Women’s 50m Three-Position Rifle SH1) events at the World Cup in Chateauroux, France in November. At the Robert Mitchell Rifle Championships which concluded this weekend, Farmer was posting world-class scores in R3 (Mixed 10m Air Rifle Prone SH1) where she shot the top cumulative score, shooting a 631.8 on the first day and 630.8 on the second. Check out this feature from Team USA/U.S. Paralympics about Farmer: https://origin-azure4.teamusa.org/US-Paralympics/Features/2019/February/12/A-Star-On-The-Rise-Para-Shooter-Taylor-Farmer-Has-Another-Shot-For-Paralympic-Quota-This-Month. Kevin Nguyen (Westminster, California/U.S. Army Marksmanship Unit) was the top finisher for the United States at the 2018 World Championship in Cheongju, South Korea where he finished in ninth place in R6 (Mixed 50m Rifle Prone SH1), just .4 point out of a potential Finals berth. He is expected to compete in R6 as well as R3 (Mixed 10m Air Rifle Prone SH1) in Al Ain. Also competing will be 2016 Paralympic bronze medalist McKenna Dahl(Arlington, Washington) who will not only compete in her medal-winning event of R5 (Mixed 10m Air Rifle Prone SH2), but R4 (Mixed 10m Air Rifle Standing SH2) and the newest Paralympic Games shooting event, R9 (Mixed 50m Rifle Prone SH2) in which Dahl won gold at the WSPS-sanctioned event at the USA Shooting National Championships. About USA Shooting: USA Shooting, a 501c3 non-profit corporation, was chartered by the United States Olympic Committee as the National Governing Body for the sport of shooting in April 1995. 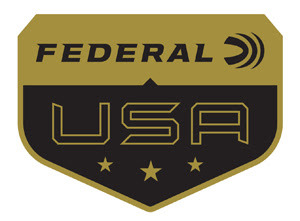 USA Shooting’s mission is to prepare American athletes to win Olympic medals, promote the shooting sports throughout the U.S. and govern the conduct of international shooting in the country. Check us out on the web at usashooting.org and on Twitter at twitter.com/USAShooting.